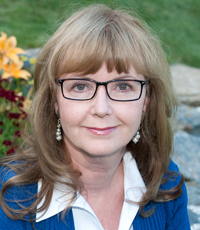 Dear Readers: I'm sending my November column early so that you may enjoy my interview with Iris Porter in time for Remembrance Day. I hope you will remember her sacrifice, and that of all the veterans who are still among us, on November 11, 2017. 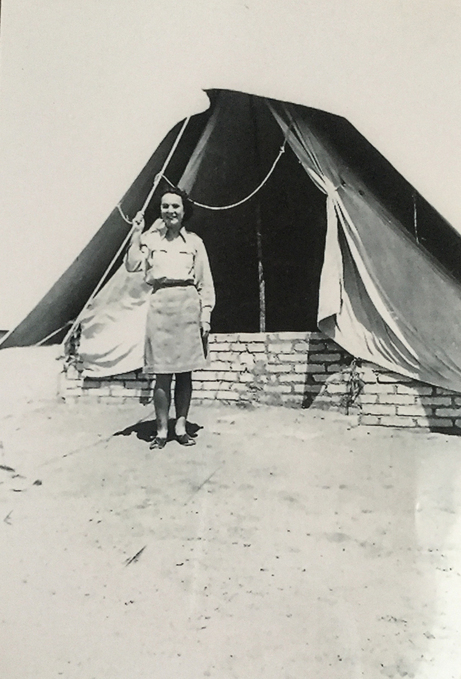 Plucky Iris Porter of the British Women’s Auxiliary Air Force slept in a tent for two long years, swam in the Mediterranean Sea, rode camels, and visited the pyramids – all while serving her country in the burning Egyptian desert during World War Two. It was an absolute pleasure to chat with Iris Porter of Calgary, Alberta, about her five years in the British air force. Iris has a razor-sharp memory that puts mine to shame, with an uncanny ability to recall dates and faces and places. I also enjoyed the novelty of speaking with a British veteran. My focus is on Canadian veterans, but sometimes I think that people who immigrated here after the war have been overlooked because they didn’t serve in the Canadian forces, and they haven’t been honoured by their own countries, either. Although Iris has been a proud Canadian resident since 1948, longer than I have been alive, nobody has ever interviewed her before about her service record! Iris Audrey Inwards was born September 19, 1920 in Richmond, Surrey, England, the third of six children. 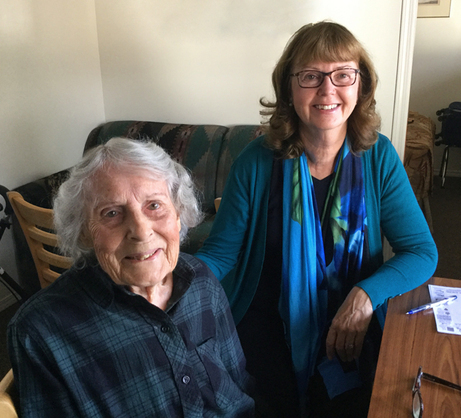 Her father served in the merchant marine and her mother was a nurse. 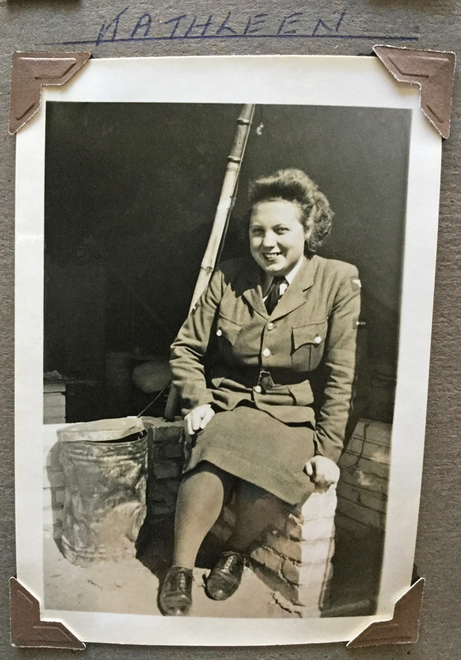 After finishing school, Iris clerked in the head office of a women’s dress company in London until she enlisted in the air force on January 2, 1941. Six months later she was called up, in June 1941. Iris did her basic training in Gloucester and was then posted to RAF Scampton in Lincolnshire. Here is Iris wearing her smart blue British air force uniform, after which the Canadian uniform was modelled. She was then sent to RAF Leighton Buzzard where she was trained to become a Clerk, Special Duties. Also known as plotters, these women stood at a giant map table and pushed the model aircraft around according to their positions in the air, sort of an early form of air traffic control. 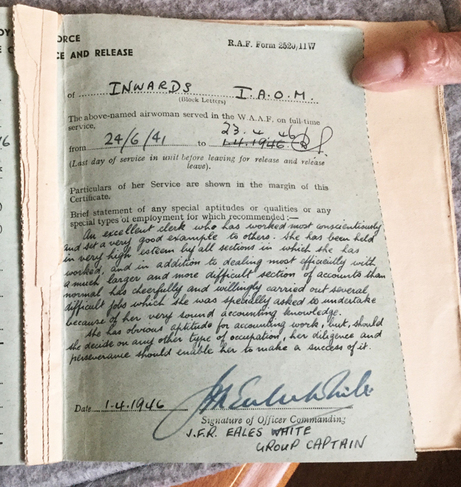 After being trained in South Wales, Iris was posted to RAF Church Lawford in Warwickshire, where she did the pay ledger for about fifty WAAFs on the base, who served in a variety of trades such as parachute packers, flight mechanics and shorthand typists. They slept in metal Nissen huts. Said Iris: "Ours was the last hut on the corner, so we asked the carpenter to make a sign and we put it up. We called our tent 'Wit’s End.'" 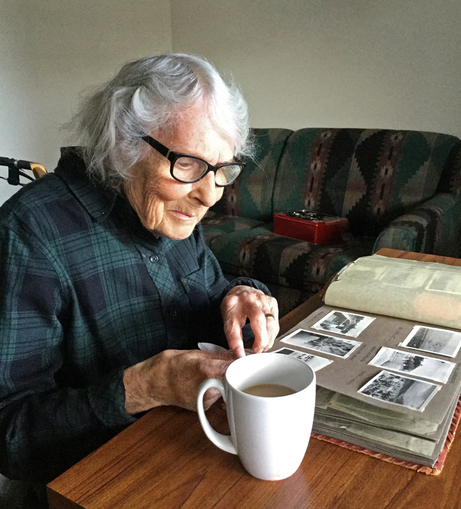 One of her fondest memories is the time she was about to go on a 48-hour leave, and a Canadian pilot trainee named Sloan gave her a tin of strawberry jam. 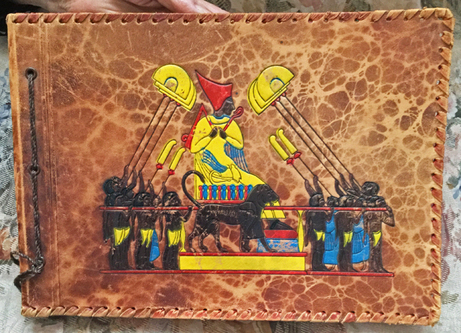 “It was Empress jam, in a gold tin with a picture of a ship on the side. I took it home to my family and we all enjoyed it so much.” At the time, sugar was rationed and sweets were very difficult to find. They began their great adventure on March 25, 1944, when they sailed from Liverpool on the HMS Alcantara, joining a convoy in Scotland and heading south. Eight girls shared a single cabin, sleeping in four double bunks, for the next three weeks, as they headed for their unknown destination, past Gibraltar and into the Mediterranean Sea. The ship turned south at Port Said and entered the 200-kilometre Suez Canal, docking at the foot of the canal in Suez, Egypt on April 9, 1944. That was the beginning of Iris’s two-year stint in the Middle East. From Suez they took the train about 140 kilometres west to RAF Almaza, just outside Cairo, where they were vaccinated for tropical diseases and given their kit – three skirts and three shirts in beige Egyptian cotton, ankle socks (since the temperatures reached 104 degrees Fahrenheit, it was too hot for stockings), and sandals which they quickly ditched in favour of more serviceable leather shoes. Iris was posted to a base called RAF El Gedida in Heliopolis, an ancient city also known as City of the Sun, just east of Cairo. There she worked in the Base Accounts Office, doing payroll and other accounting duties for hundreds of Royal Air Force servicemen and servicewomen stationed throughout the Middle East, including Cyprus, Malta and Italy. There were thirty airwomen on this base, composing the First Draft of WAAFs – the very first contingent of women who volunteered. Here’s a photo of Iris on the right, and another WAAF, outside the Base Accounts Office. For the next two years, Iris slept in a huge tent village pitched on the sand. Notice the bicycle parked in front of the tent on the right. Each tent had a stone foundation and a concrete floor. This is a photo of Iris standing outside her home of two years. Just two months after their arrival, D-Day took place on June 6, 1944, the successful invasion of the continent by Allied forces. Iris was fortunate to have a kind and friendly commanding officer named Jimmy Schofield. 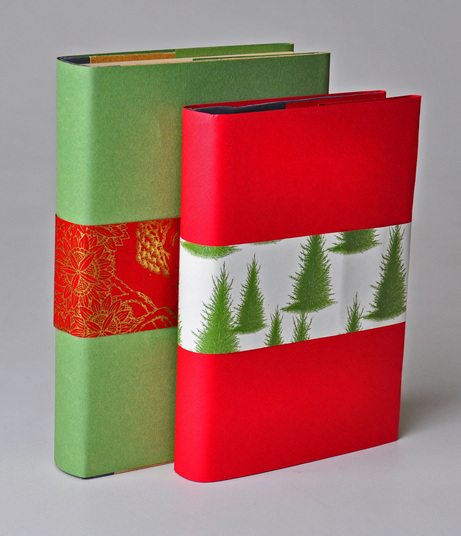 One of the nicest things he did was to give her a beautiful leather-bound photo album for her first Christmas in Egypt. Jimmy even filled it with photographs, and Iris added to these over the years. 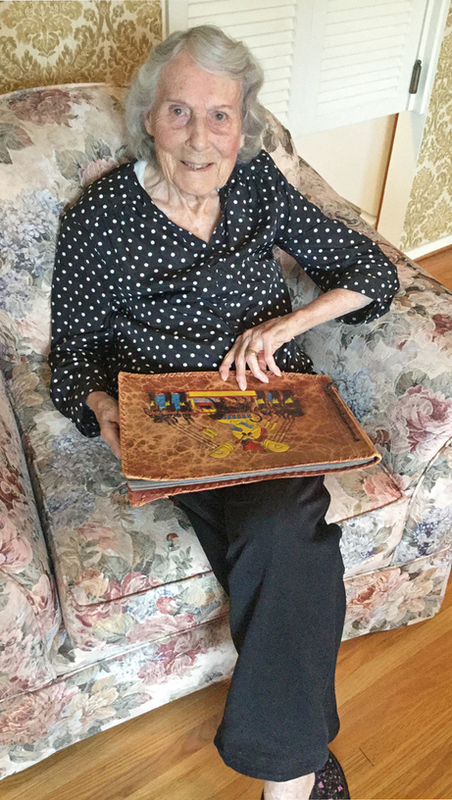 She cherishes this lovely album, shown here on her lap. 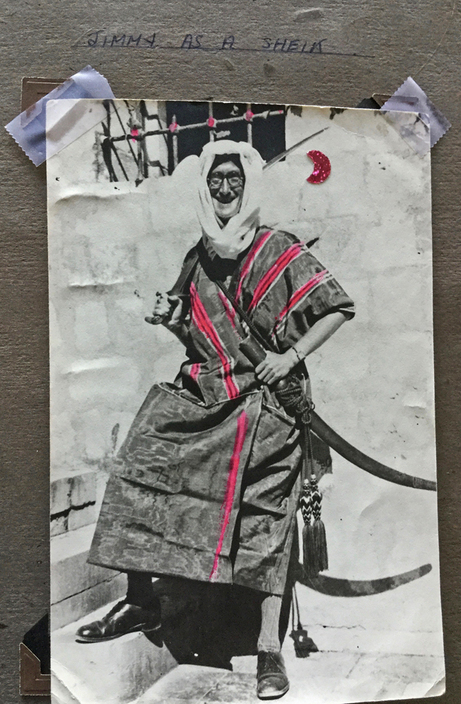 Here Jimmy amused them all by dressing up as a sheik. Iris particularly enjoyed getting to know the Muslims with whom she worked side by side. This is a photograph of Kathleen Britain, Iris's best air force buddy. 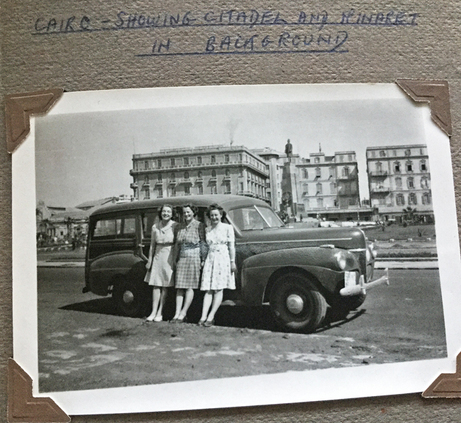 The photo below was taken in Cairo, with the citadel and minaret in the background. 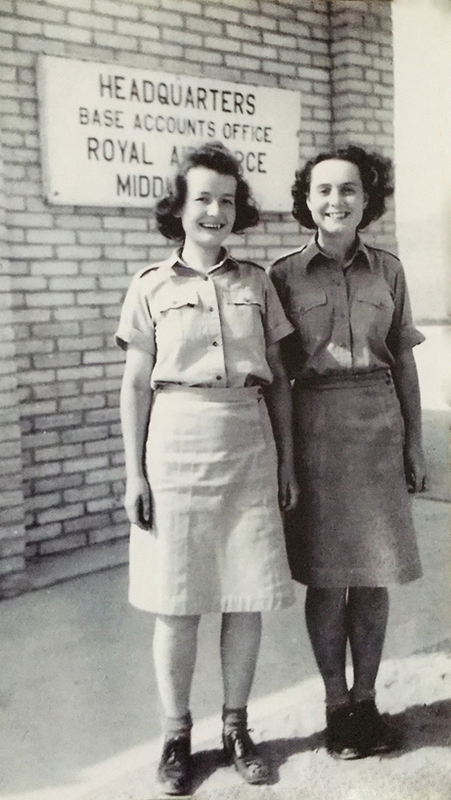 The girls were allowed to wear "civvies" (civilian clothes) while off duty. 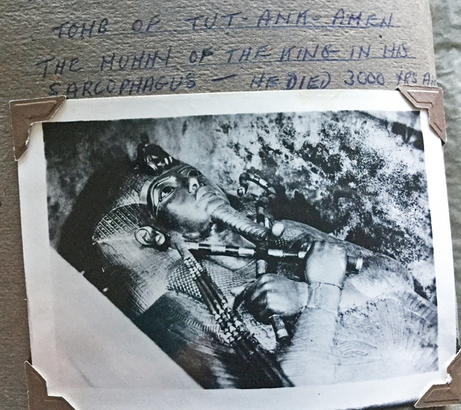 Iris saw the tomb of King Tut, long before his mummy was encased in glass to protect it from hordes of tourists. And she saw Egypt's most famous monument, the Sphinx at Ghiza, with the pyramids in the background. 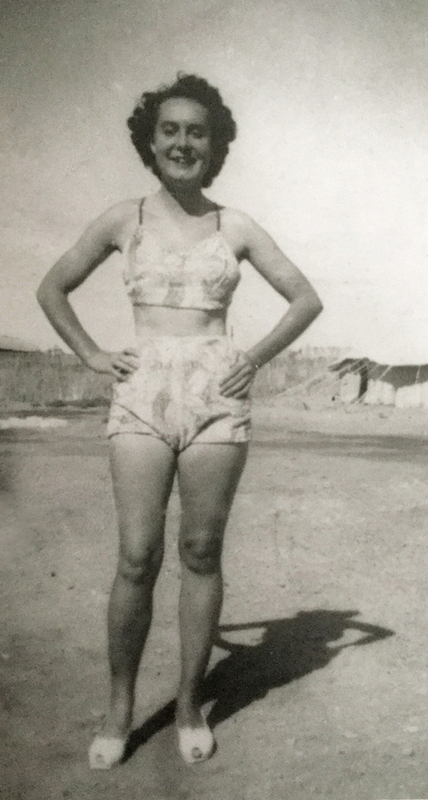 Iris even had a chance to swim at several Mediterranean beaches, and here she is looking very trim in her two-piece bathing suit. Of course, there was no shortage of men to go out with. 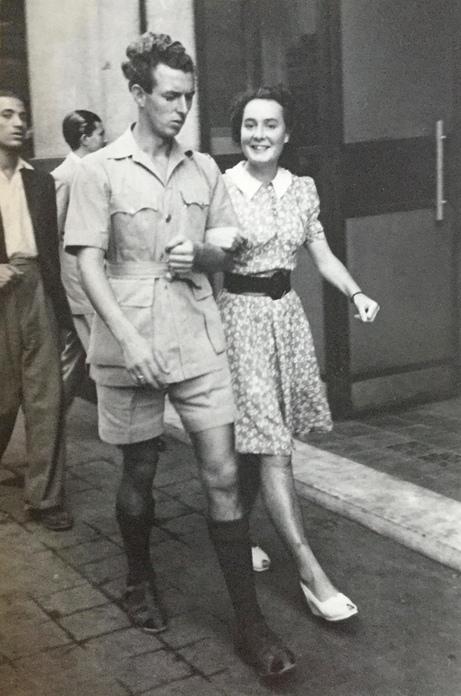 “I had many, many dates,” Iris said, “but nothing serious until I met my husband.” Here she is out walking to "the pictures" with one of her many eager escorts. 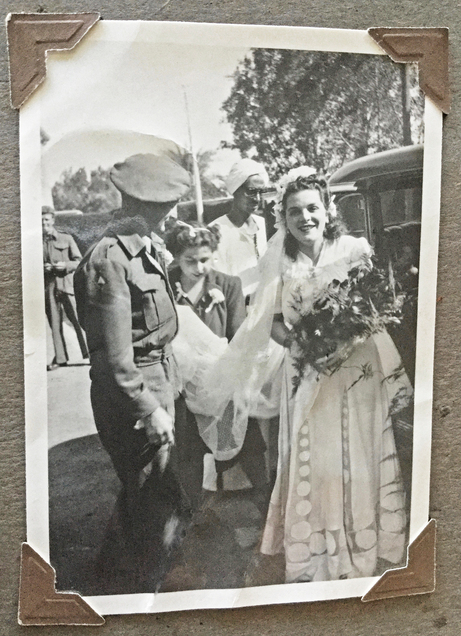 Some of the other WAAFs did meet their husbands in Egypt, and Iris attended several weddings. Iris even has a photo of one friend wearing the borrowed gown! On May 8, 1945, Victory in Europe was declared at last. War’s end did not mean that Iris could go home, since she had volunteered for two years of service beginning in April 1944. 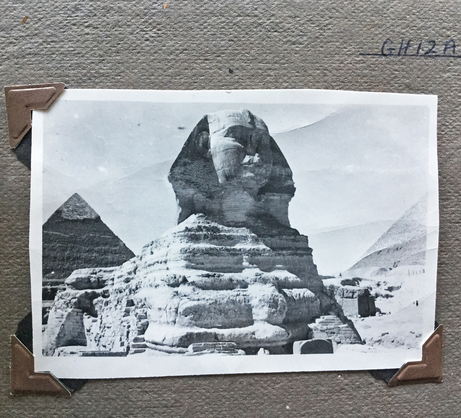 That meant she remained in Egypt until April 1946. In spite of their leisure activities, the women worked hard and performed their duties well. 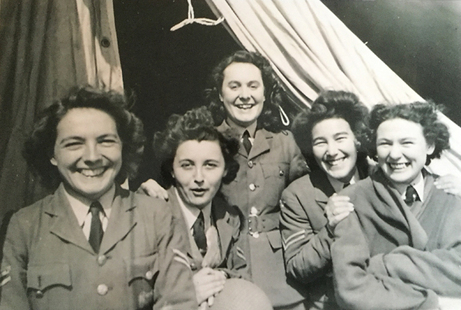 Here Iris, standing in the centre, and four of her friends look so happy because they have all just been promoted from the lowest rank of Leading Aircraftwomen to Corporal, allowing them to add two stripes to the sleeves of their uniforms. 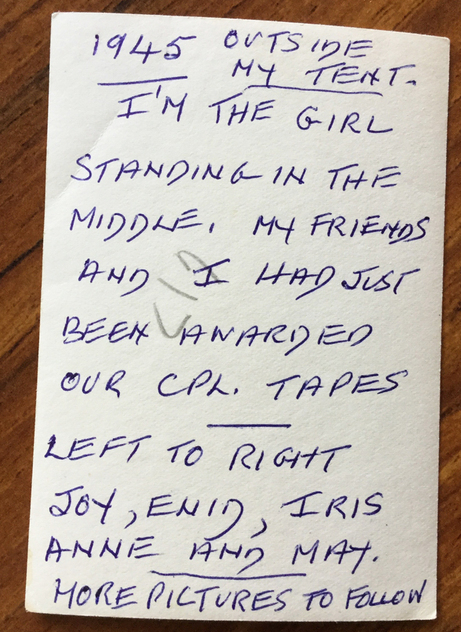 Iris sent the photo home to her proud parents, with these words written on the back. The surrender of Japan meant the liberation of thousands of Allied prisoners who had spent four long years in camps throughout the Far East – not only 140,000 military prisoners, but another 130,000 civilians, primarily women and children. Altogether the Japanese had established hundreds of prison camps, where both servicemen and civilians were treated very badly. The call went out at Iris’s station for five WAAFs to volunteer for a program named RAPWI, (pronounced Rap-wee), the Recovery of Allied Prisoners of War and Internees, and Iris volunteered. 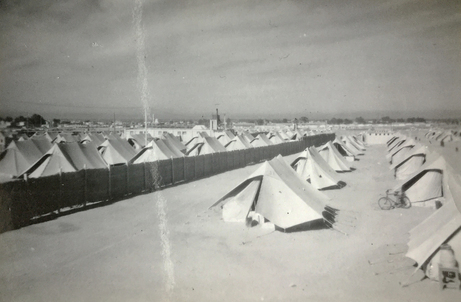 A temporary camp was set up along the coast at Port Tufik where former troop ships landed every week, filled with thousands of repatriated prisoners of war including men, women, and children, to be outfitted with clothing before continuing their journey to England. Most of them had nothing to wear but rags. Iris explained: “There was a large wooden hangar, and the Muslim workers built partitions, so there was a section for men, women, and children. We had received shiploads of brand new clothing donated from New Zealand, Australia, Canada and the U.S. The workers unpacked the bales of clothing and hung it on racks. "After they disembarked, the prisoners came into the hangar and were given enough clothing to see them through the first few months, including new underwear and pajamas, plus warm outdoor clothing for the winter back in England. After the children received their new clothing, they came into the fourth section. Iris was in charge of the toy shop, and each child was given one toy to keep. “That was the most touching experience," she recalled. "Some of the children had never even seen a toy. A few of them had wooden whistles made of twigs, since a man in one of the camps had started a little musical group in an effort to keep them entertained. 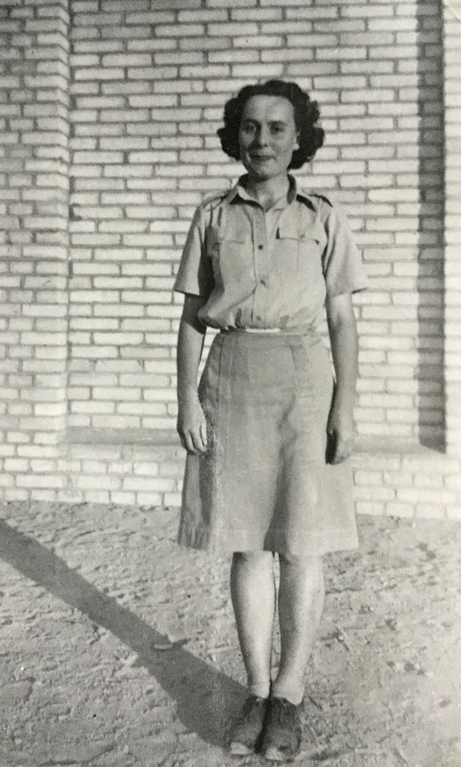 Iris remained at the RAPWI camp from September to December 1945. During the last month, she attended a YMCA dance and met a handsome young man named Donald Porter from London, a Warrant Officer in the Royal Engineers. 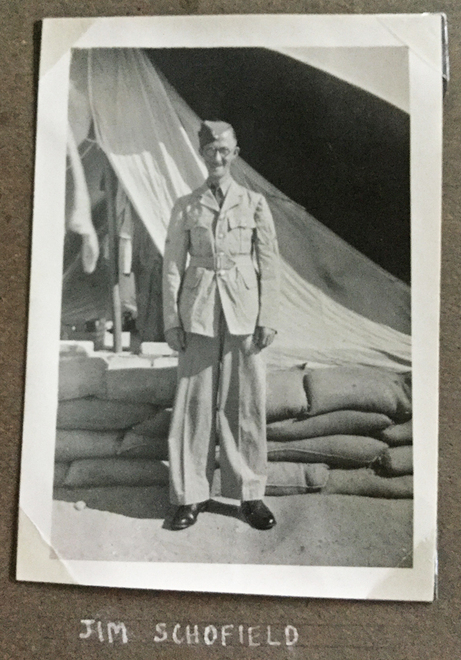 He had served for the past four years in Suez, and was about to leave for home. In April 1946 Iris sailed for home at last. She had been a valuable asset to the air force, as shown by her release form. Like so many others, Iris and Donald wasted no further time in getting on with their lives. 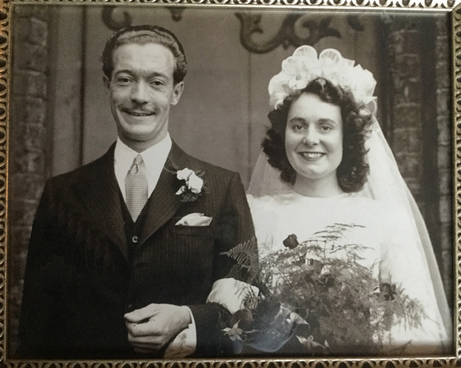 Just weeks after Iris arrived back in England, they were married on July 20, 1946. She was 25 years old; he was 29. One year, later, baby Anne was born. At first the young couple had no idea of leaving their beloved England, but they soon changed their minds. “While I was away my sister Margaret, who had married a Canadian soldier, had already arrived in Calgary as a war bride. She sent me a Sears catalogue, and I wore it out looking at it! Beautiful frilly curtains, colourful sets of dishes, just the way it used to be in England before the war. Don found work immediately as a sheet metal worker, and the couple had three more children: Roy and Kerry, both retired teachers; and Diana, who works at the Law Foundation in Calgary. Anne is a nurse in High River, Alberta. After the children grew older, Iris worked part-time in the shoe department at Sears Department Store in downtown Calgary for 29 years, from 1967 to 1996. It comes as no surprise to learn that Iris was a loyal member of the Sears staff, appreciated by both her customers and her fellow workers. Donald Porter died in 2006. Today Iris still lives in the house near Heritage Park in Calgary where she has lived for the past thirty-eight years. Iris, I will remember your courage on this Remembrance Day and always. Thank you for your dedication to your country, and to the Allied victory that our two countries shared. God bless you. The Star Weekly was a Canadian newsmagazine published by the Toronto Star. 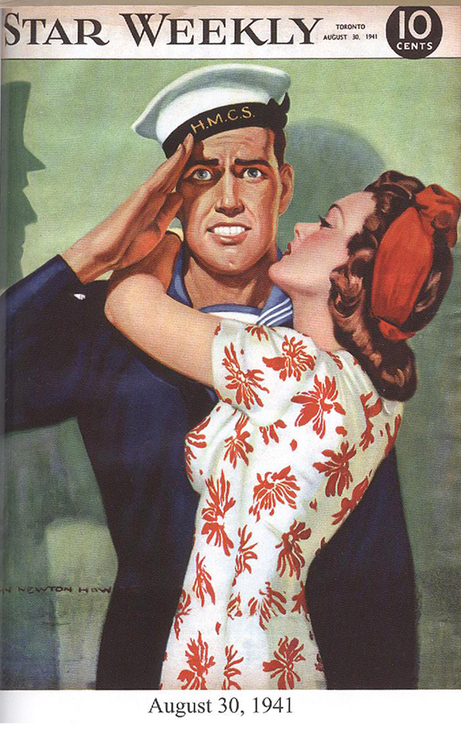 This image dated August 30, 1941 shows a reluctant sailor trying to keep his poise while being embraced by a young woman! To see my collection of Star Weekly covers, click: Star Weekly At War and scroll to the bottom. The launch of my new pioneer novel is just three months away! Read all about the book by clicking here: Wildwood. Pre-order the book from Amazon here: Order from Amazon. If you prefer to use a Canadian company, order it online from Chapters by clicking here: Order from Chapters. I'm collecting photos that inspired my pioneer story. In the book, my contemporary heroine discovers an old journal in the abandoned farmhouse written by her great-aunt, the original homesteader. 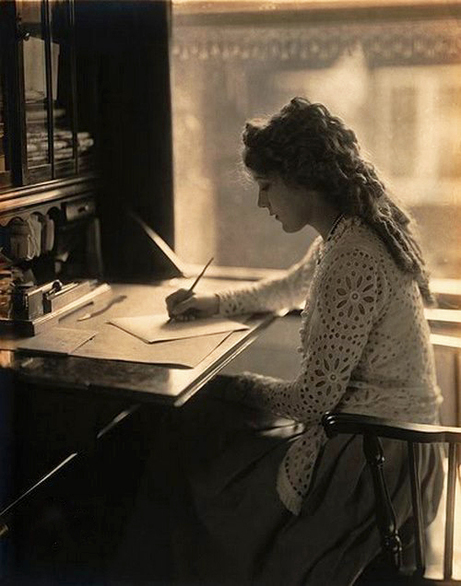 This lovely image below reminds me of the young bride writing in her diary. Shipping is expensive! Mailing one book can cost up to $20, depending where you live. That’s I am offering a SPECIAL DEAL UNTIL NOVEMBER 30. Start your Christmas shopping early this year, and order signed copies of both my wartime novel Bird's Eye View, and my collection of veteran interviews My Favourite Veterans: True Stories of World War Two's Hometown Heroes. From now until the end of November, I will ship my books to your address or someone else's address for FREE. 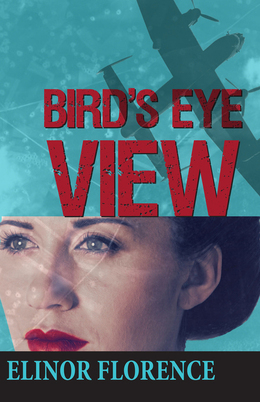 My wartime novel Bird’s Eye View costs $25.00 and My Favourite Veterans costs $35.00. There will be NO TAXES and NO SHIPPING COST. Call me at 250-342-0444 or email me at elinor1@telus.net for details on how to pay, either by cheque or credit card.